What is the real situation of the Real Estate Market in Barcelona and its surroundings? This 1st semester of 2018 we have been surprised by some aspects in Rent and Sell market that have been anticipated already for a few months and, as usual, Barcelona city anticipates some of the effects that later on appears in a generalised way in the market. 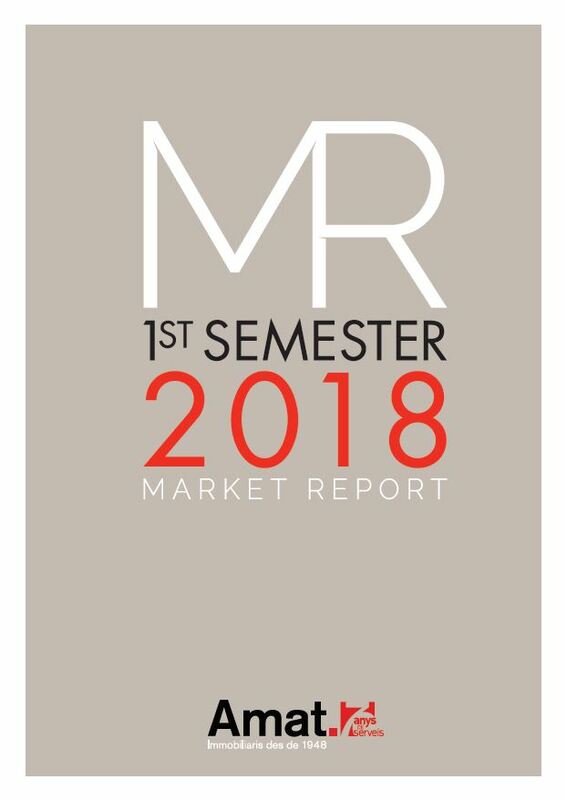 Find our full analysis in the following link to our Real Estate Market Report of the 1st Semester of 2018. Amat Immobiliaris is a family-run real estate company founded in 1948 specialising in Barcelona and its surroundings. The company’s long history and family continuity mean Amat clients benefit from a deep understanding of the local property market built on many decades of experience. With the third generation of the family now helping to run the business, Amat continues to set the standards for client service and innovation in Barcelona’s property market, having earned a reputation for integrity and professionalism with more than 65 years in business.